Timeless Concerts returns to the Arlington Museum of Art to present another in its long running series of classical concerts. 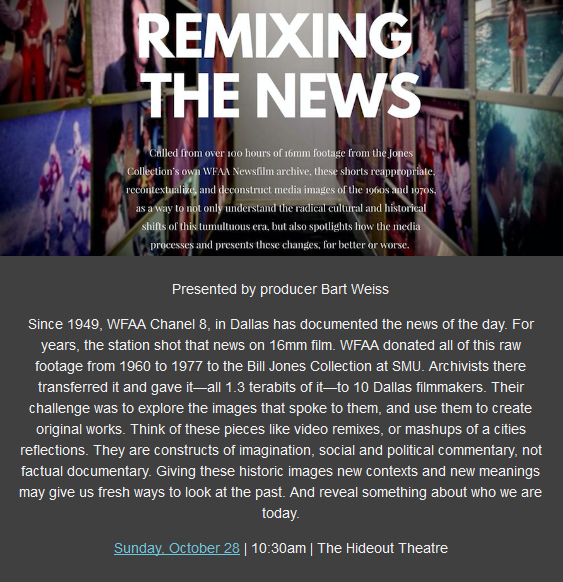 An hour of music that spans centuries will begin at 8pm on Saturday, November 10. The Chenoweth-Hood-Kang trio will represent Germany with some of the greatest and most famous music of all time composed in Germany: Beethoven and Brahms. Their tenor and soprano, Sergio Cepeda and Judith Rodriguez, will represent Italy with passionate Puccini and Verdi! Who is more dramatic and passionate, the Germans, or the Italians? Works by German film score composer Hans Zimmer will also be performed. Many may be surprised that although his name is not familiar, his scores certainly are, ranging from “Driving Miss Daisy” to “Pirates of the Caribbean.” The post-concert party is included in the ticket price, when you may give your requests to pianist Steve Stroud. Complimentary buffet of fruit/cheese/desserts/wine/soft drinks will be available and BYOB accepted. 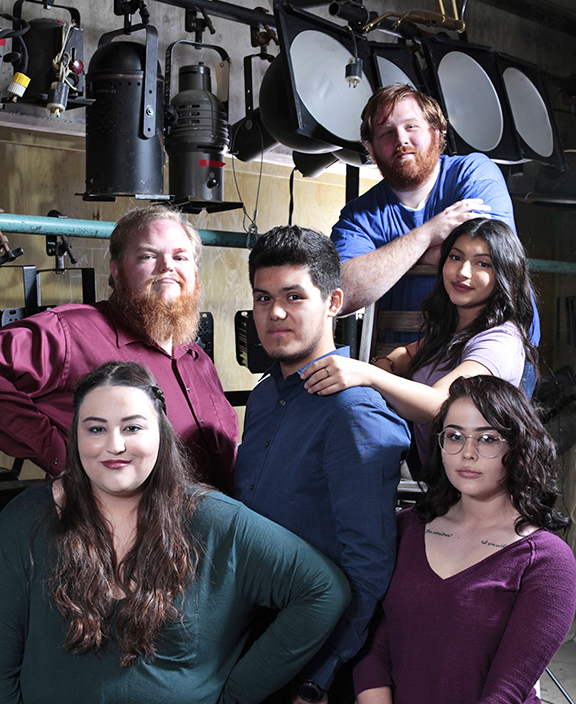 The University of Texas at Arlington’s Maverick Theatre Company presents MavLab. Experience the exciting, thought provoking plays that make up the Maverick Theatre Company’s MavLab! This semester’s series includes THE SHOCK OF RECOGNITION by Robert Anderson, directed by UTA Theatre Arts student Coy Rubalcaba, LADIES IN WAITING by Michele Palermo, directed by Assistant Professor of Instruction Detra Payne, and the world premiere of SOME SUNNY DAY written and directed by UTA Theatre Arts student Straton Rushing. THE SHOCK OF RECOGNITION, by Robert Anderson, breaks in on a difference of opinion between an earnest young dramatist and his matter-of-fact producer who doesn’t like the opening moment of the play. A wife is having breakfast in bed and she says something to her husband, who is in the bathroom. He comes out, jaybird naked, and yells to her, "You know I can’t hear you when the water’s running." The producer doesn’t think this confrontation is quite nice or necessary. The author insists that the scene is quite important and, after all, it lasts only an instant. A quarrel over taste develops. LADIES IN WAITING is written by Michele Palermo. In a room at All Saints Church fifty minutes before her wedding, Julie and her bridesmaids are together for the first time in over a year. As they get dressed, do makeup and their hair, they talk about marriage, careers, dating and even death. SOME SUNNY DAY, written by Theatre Arts student Straton Rushing, is derived from the lines of Vera Lynn’s song “We’ll Meet Again”. The play follows a year in the life of Will Kolikov, a young man living in the early 2000s, who is trying to make a career in radio when things begin to fall apart for him. 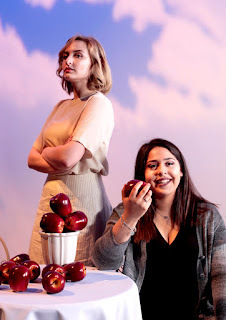 This bittersweet play explores how we pick up the pieces and start over through music, poetry, and the stories that need to be told most. 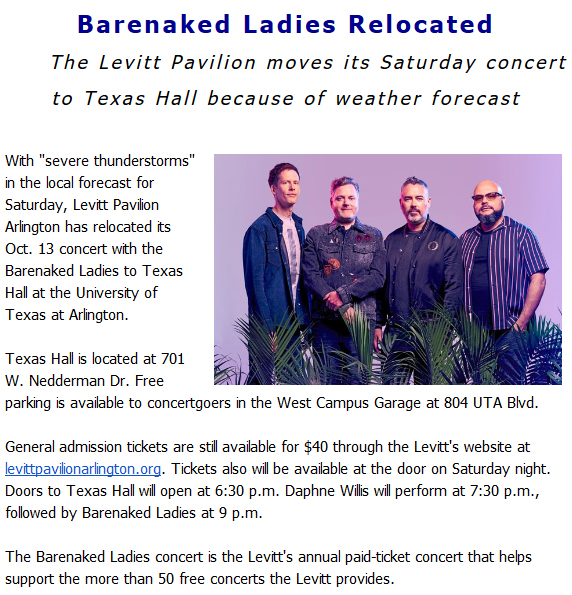 THE SHOCK OF RECOGNITION and LADIES IN WAITING will be performed on the same evening with THE SHOCK OF RECOGNITION performing first, followed by a brief intermission with LADIES IN WAITING performing after. The price of admission includes both performances. Performances are presented October 31 & November 2 at 8:00 p.m. and November 3 at 2:30 p.m.. SOME SUNNY DAY will be presented November 1 & 3 at 8:00 p.m. and November 4 at 2:30 p.m.. All performances will be at 502 S. Cooper Street, The Studio Theatre, Room 137 of Fine Arts Building North. Tickets are $10 for general admission. Join the Arlington Community Band for a free concert at Trinity United Methodist Church in Arlington. A romantic comedy about loss, love, change, and redemption, THE CLEAN HOUSE is both whimsical and touching. A serious career-oriented doctor, Lane, has hired a quirky Brazilian maid. The only problem is that the maid, Matilde, hates to clean. Instead, she longs to be a comedienne. Lane is deserted by her husband, Charles, who leaves her for his mistress, Ana, a passionate, older Brazilian woman upon whom he recently performed a mastectomy. Sarah Ruhl’s enchanting play reminds us that there is humor and beauty to be found in life’s most unlikely messes. THE CLEAN HOUSE is a 2003-2004 Susan Smith Blackburn Prize Winner and a 2005 Pulitzer Prize in Drama Finalist. 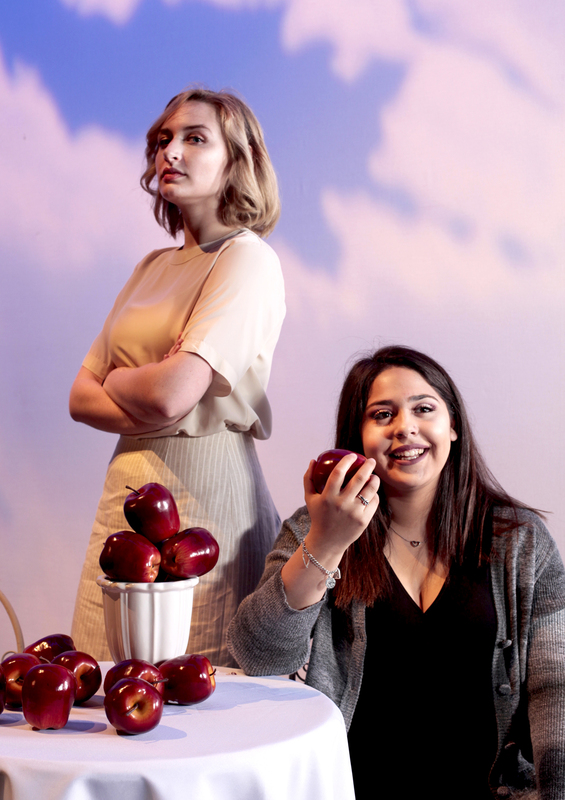 THE CLEAN HOUSE features members of UT Arlington’s Maverick Theatre Company including: Alyssa Azacarate (Matilda), Darcy Doyle (Lane), Bethany Doolin (Virginia), Cody Jackson (Charles), and Emily Bulloch (Ana). This play is directed by Assistant Professor of Instruction and Playwright-in-Residence Seraphina Nova Glass. Scenic design by DJ Badon, light and sound design by Jared Land, costume design by Kris O’Brien, technical direction by DJ Badon, and stage managed by Emily Blackmon. 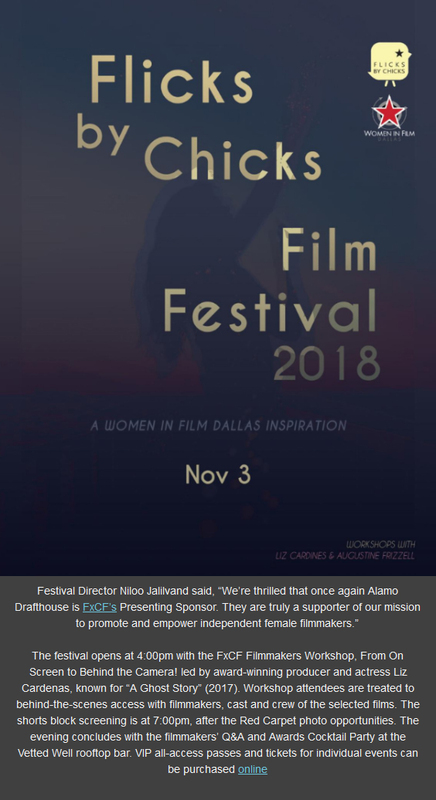 THE CLEAN HOUSE is presented in the UT Arlington Mainstage Theatre (Fine Arts Building, North Section, Room 174) . Performances are October 10th, 11th, 12th, and 13th at 8:00 pm and October 14th at 2:30 pm. Tickets are $10 for the general public and $8 for students/senior citizens/UTA faculty & staff. For tickets please contact UTAtickets.com. For further information, please contact the UT Arlington Department of Theatre Arts box office at 817.272.2669 or uta.edu/theatre. 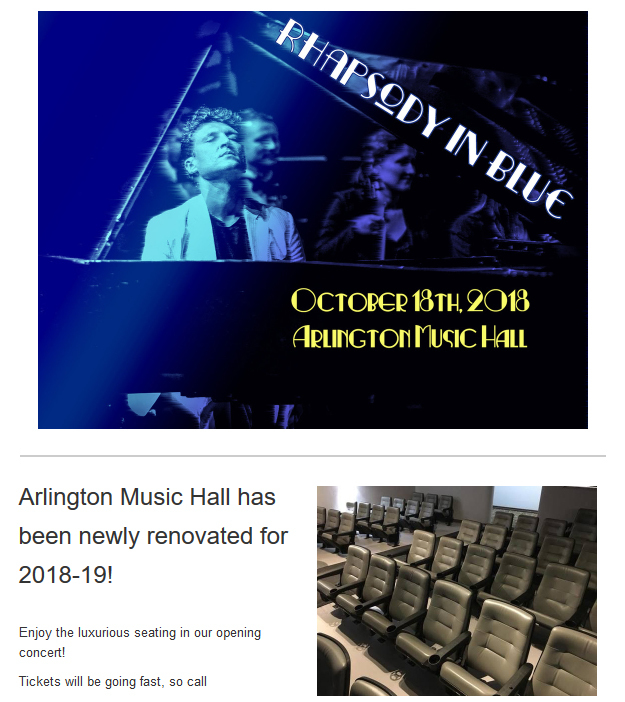 Please note: Due to building delays of the stage extension, Symphony Arlington will be unable to perform in Arlington Music Hall on October 18th. 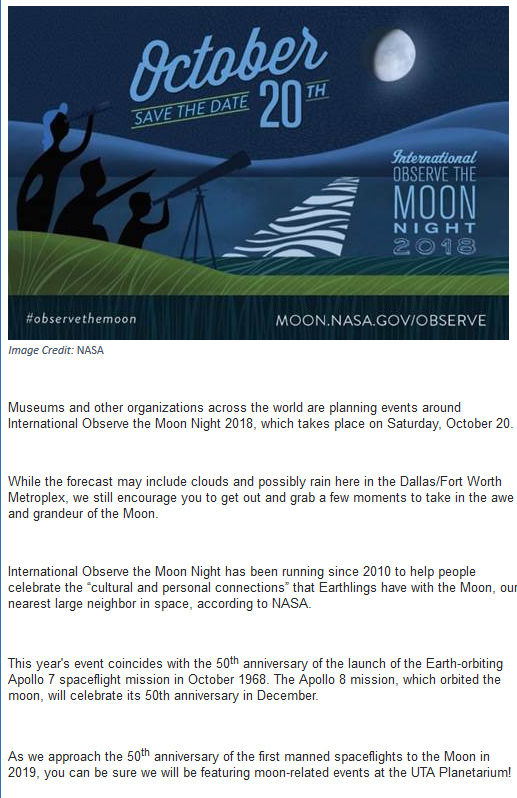 They will be performing at the Willie Pigg Auditorium in Mansfield.